TOKYO: Japanese Prime Minister Shinzo Abe, plagued by suspected cronyism scandals and cover-ups and with his ratings sliding, will likely step down in June, former leader Junichiro Koizumi was quoted on Monday as telling a weekly magazine. A survey by broadcaster Nippon TV released on Sunday showed Abe’s support had sunk to 26.7 percent, the lowest since the conservative lawmaker took office in December 2012. An Asahi newspaper poll published on Monday put his rating at 31 percent. Abe’s sliding ratings raise doubts over whether he can win a third three-year term as ruling Liberal Democratic Party (LDP) leader in a September vote, that he needs to win to stay in office, or whether he might even resign before the party vote. 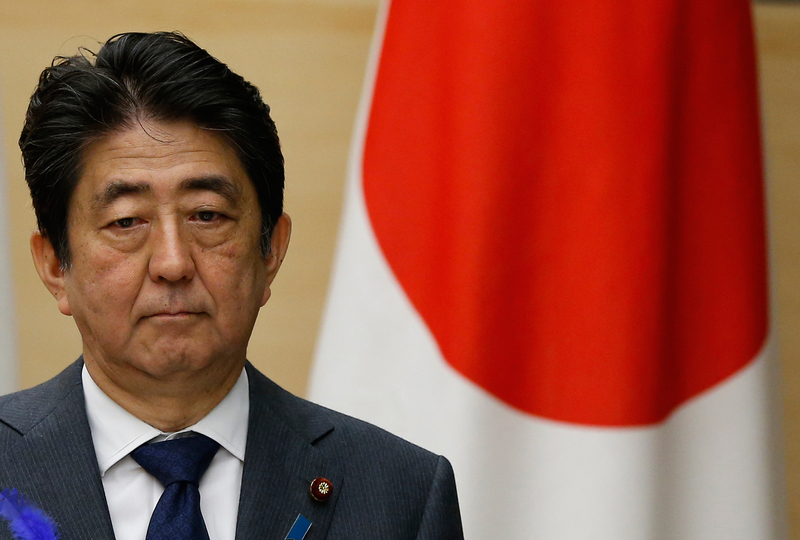 The latest signs of trouble for Abe come ahead of his summit this week with US President Donald Trump, where the difficult topics of North Korea’s nuclear and missile threats and touchy trade matters will be on the agenda. “The situation is getting dangerous. Won’t Mr. Abe resign around the time parliament’s session ends (on June 20)?” weekly magazine Aera’s online site quoted Koizumi as saying in an interview. Koizumi – a critic of Abe’s support for nuclear power after the 2011 Fukushima crisis – said that if Abe hangs on, it could hurt LDP candidates in an upper house election next summer. Crowds of protestors demonstrated near parliament on Saturday, holding signs saying “Abe is Over” and chanting “Abe quit!” Organisers said 50,000 had participated by the time the demonstration ended. Abe last week denied again that he had intervened to ensure preferential treatment for educational institution Kake Gakuen, run by his friend Kotaro Kake, to set up a veterinary school. In another headache for Abe, the finance ministry’s top bureaucrat has come under fire after another weekly magazine reported that he had sexually harassed several female journalists. The finance ministry said in a statement on Monday that Administrative Vice Finance Minister Junichi Fukuda had denied the allegations in Shincho magazine and vowed to sue its publisher for defamation. Fukuda apologised for causing trouble to the finance minister and ministry officials “by inviting public distrust”, the statement said. Former cabinet minister Shigeru Ishiba, who has made clear he wants to challenge Abe for the top post, topped the list of politicians that respondents to a weekend Kyodo news agency survey saw as best suited to become the next premier, with 26.6 percent. Popular young LDP lawmaker Shinjiro Koizumi – ex-prime minister Koizumi’s son – ranked second with 25.2 percent, with Abe in third place with 18.3 percent. Former foreign minister Fumio Kishida, another possible contender, was fourth with 5.9 percent followed by Internal Affairs Minister Seiko Noda at 3.6 percent and Foreign Minister Taro Kono with 2.9 percent.